the most peaceful worldwide in the past century. Preeminent scholar of international relations Joshua Goldstein tears down one of the greatest myths of modern history. 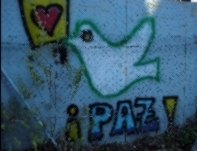 Despite all the hand-wringing, fearmongering, and bad-news headlines, peace is on the rise. Fewer wars are starting, more are ending, and those that remain are smaller and more localized than in past years. Incredibly, no national armies are still fighting one another—all of today’s wars are civil wars. Understanding this worldwide decline in armed conflict is crucially important as America shifts from a decade of war to an era of lower military budgets and operations. Goldstein’s groundbreaking analysis of the empirical evidence is convincing, but the real power of his argument lies in the accounts of experiences on the violent frontlines where peace must actually be put into effect. He shows how today’s successes in building peace have grown out of decades of effort and sacrifice by people working through international organizations, humanitarian aid agencies, and popular movements around the world. 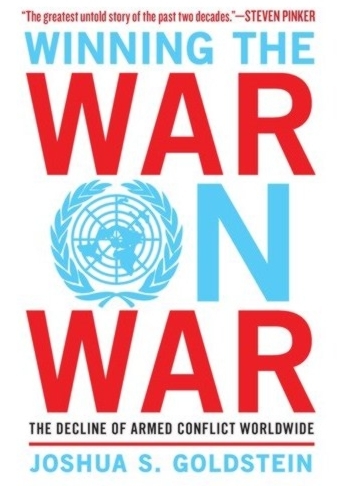 At the center of this drama is the United Nations and its sixty-year experiment in peacekeeping—overwhelmingly supported by American public opinion—which is making a measurable difference in reducing violence in our time. Taking us from his own sleepless night in Beirut as shells landed in nearby streets, to the agonizing failures of the international community in Bosnia and Rwanda, to the recent triumphs of peacekeeping in West Africa, Goldstein tells the most exciting and important untold global story of our age. He shows how large-scale looting, sexual assault, and atrocities are being stopped, and how we can continue building on these hopeful and inspiring achievements to keep winning the war on war.